I just got this totally adorable Baublebar bunny ring holder. I had been previously been using the top of my L'Eau D'issey perfume bottle to hang my every day rings on so this is a nice upgrade and it makes me smile every time I look at it. It was only $12 and they have other cute styles as well. What do you use to hold your rings? I talked about replacing my current pair of slip-on sneakers a few weeks ago. At that time I couldn't decide between a couple of styles. I ended up with these silver suede Sperry Top Siders. They're majorly comfortable and I have a feeling I'm going to get alot of wear out of them as it warms up. They're true to size and also come in gold and black. I first saw these on Zappos.com for $57.99 but bought them on 6pm.com for $49.99. In case you didn't know 6pm is Zappos sister discount outlet site that sometimes carries the same items at lower prices. It should be noted that they also offer free shipping but not free returns and they don't process exchanges. Just sharing. Great items! Stylish and chic look! Oh my gosh you have such a lovely ring collection! Everyone seems to have a thing for gold but I am all about the silver and those pastel enamel rings suit that bunny so well. sho cyute. The bunny ring holder is adorable. I must check out that 6pm site. :) Have a great Wednesday Rowena. Love, Love your bunny rings holder so cute, like the color and how comfy the shoes look. yea i've see those animal ring holders already and they're defs cute!! i have way too many rings to stack onto just one animal though :P but it would be good for the rings i wear most often. That ring holder is so cute (and so are the rings on it!). Most of my rings are in a stack of little clear containers from the Container Store, or on my ring holder. 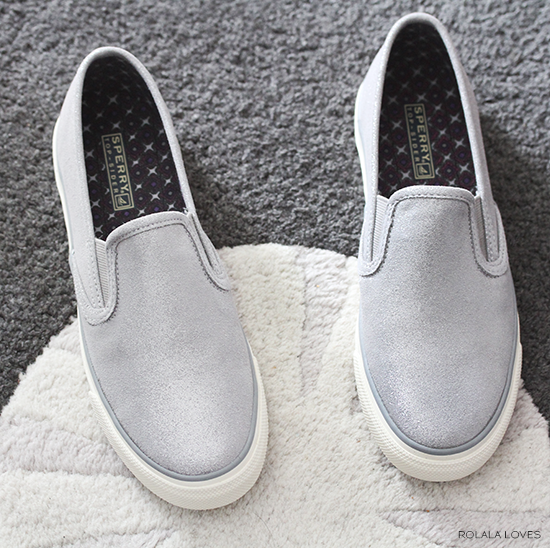 I love the silver slip-ons that you choose! 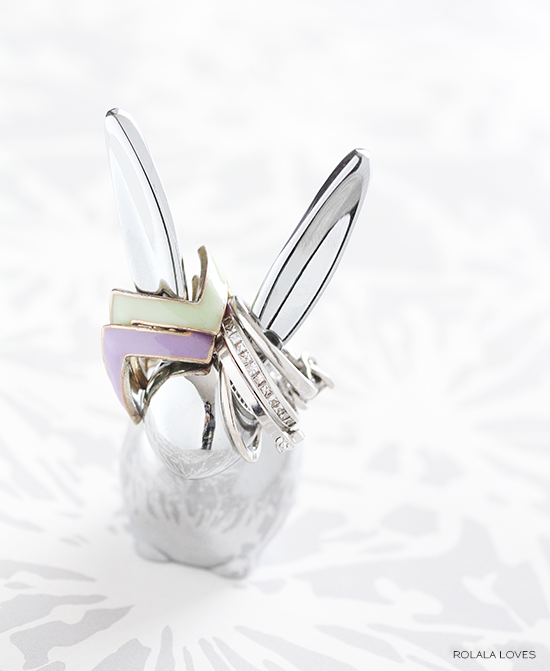 Beautiful rings and a bunny holder, Rowena. I have a ring holder in a shape of an elephant. Those slip on shoes seem so comfy and stylish. I saw these ring holders in Urban Outfitters. I soooo want to get one. They are adorable and would more or less look good anywhere. Oh that ring holder is so cute! I use a little ballet dancer statue to hold my rings. Loving those sneakers as well! Oooo I love those stacking chevron rings! WAY fun! Great post! I love the shoes so much. Oh! That little bunny is too cute! I was unaware that Bauble Bar had jewelry accessories as well. I checked the link and I think the bunny is definitely the cutest of all the animals they have available! Nice ring holder and amazing slip on sneakers!!!!!! A ring holder is such a brilliant invention...that is very cute! That's such a cute way to store your rings. I'd need many of those, though... I'm a ring junkie. 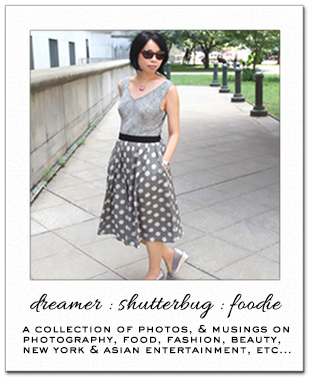 I'd be very happy to see you in my blog sometime soon. That ring holder is adorable!! I need a place to hold my rings too! I have so many and I just store them on a table haha! Oh my gosh. The ring holder is sooo cute! Love that you used that perfume as your holder! I totally used to wear that scent! It's just so unique! Now I wear Chloe. :) Your jewelry is very beautiful and well styled! Sperry is really working out of the box lately! These are super cute. Oh my that bunny is adorable and I love your shoes. That ring holder is amazing! I freaking love the ring holder. So cute. The slip on is also cool. The little bunny ring hold is adorable!! I need to get something like that. Currently, I throw my rings into a cluttered drawer... Also loving the new slip on sneakers! Love the subtle glimmer and silver is such a fantastic neutral this season. I actually just discovered 6pm two days ago!! I can't believe I've gone this long without knowing about it! I buy from Zappos and did not realize they have a sister outlet. Thanks for sharing. WOW! love your new silvery looking sneakers. and my, I am a great fan of rings too *_^ yours are really elegant looking ones. Thanks for sharing, loving your post, as always. Have a beautiful week, my friend. I don't think I've ever desired something this intensely like that bunny ring holder of yours *. * it's the cutest thing ever! That bunny is adorable! I had a really cute ring holder in the shape of a stags head but I dropped and broke it so need a replacement. The bunny ring holder is so cute! I love how you took that photo too! Stunning!! I love these pieces sweetie! these sneakers are amazing ! How cute is that bunny! The perfect way to storage your jewelry! That bunny looks so precious! Love the bunny and the shoes!! I just went and looked at the gold shoes but they don't have my size! Great price on those too!! Really cute sneakers Rowena. You made an excellent choice! I love your new bunny ring holder. So precious! I love your bunny ring! And as you know, I'm a huge fan of the silver accessory this spring so your vans are great--I have been eyeing some for the first time ever, they were never my style at all, but have become so cute lately with all the different fabrications that I'm having a hard time chosing. Love yours! I didn't know about 6pm.com! Ill be checking that out. Your slip ons are supper cute and love the bunny ring holder. .and such a great buy! Hi Rowena.. I enjoyed reading your opinion on my last post. I agree with you on Emma's hair colours. Ive been dyeing my hair from a young age but Ive never tried blonde because it seemed too extreme for my natural dark hair. I have seen lots of stylish ladies in Japan with blonde hair, some of them pull it off. What do you think? Happy Friday Dear!